I was on such a roll reading over the summer. Literally book after book. I’d finish one and immediately pick up another to start. For whatever reason, even though I have the mornings completely to myself now, I haven’t found myself reading to the same degree. I feel like I need to dedicate a day or certain hour or two of the day to just sit down and read. Do you ever do that… schedule a time to read or do anything else in particular, just to set aside “me (you)” time? Another ‘over the summer’ tale… we have wetlands on our property but by July, every year, they dry up. This causes the frogs to venture into the pool. We would eject them daily… scooping them up and transferring them elsewhere. Of course, they always returned, but it gave us a frog free pool to swim in. Now, a massive softball sized bullfrog has taken up residency. I mean, this thing is seriously enormous. It’s probably the largest frog I’ve ever seen. Good thing swimming season is long gone, it’s going to be a nightmare to get that one out of the pool! This soup is ridiculously good. I’m not exaggerating in the slightest! I had high hopes for this soup and it met all of my expectations. 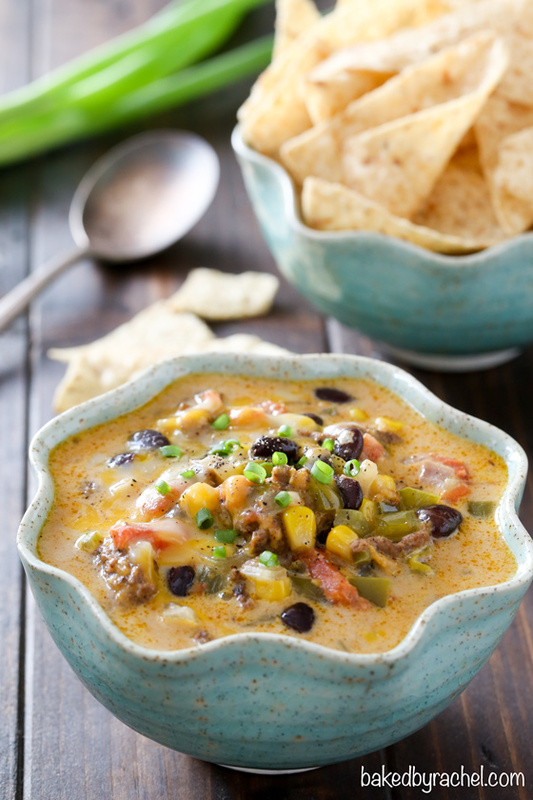 Enjoy the flavors of nachos in an easy and comforting soup! 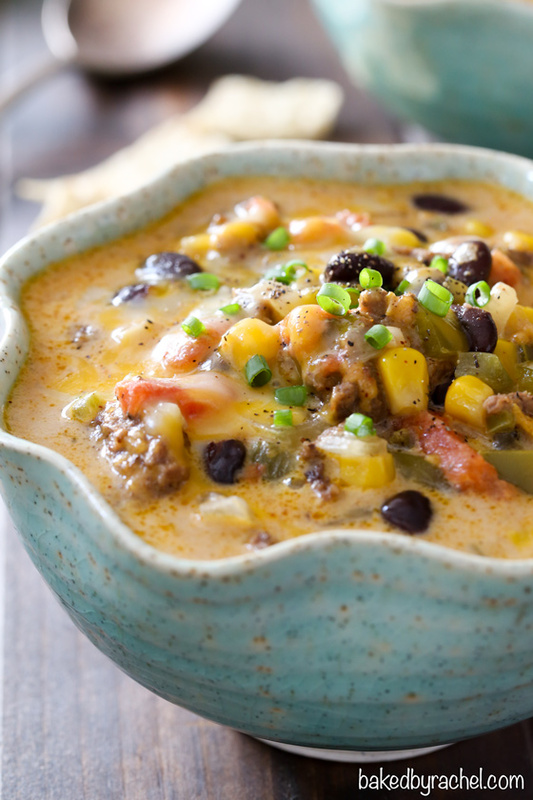 It tastes just like you’re eating nachos, but in soup form! So insanely good. I can’t get enough of it and neither can one of my kids. She’s obsessed. When it’s gone, I’m positive she’ll be asking me to make another batch. 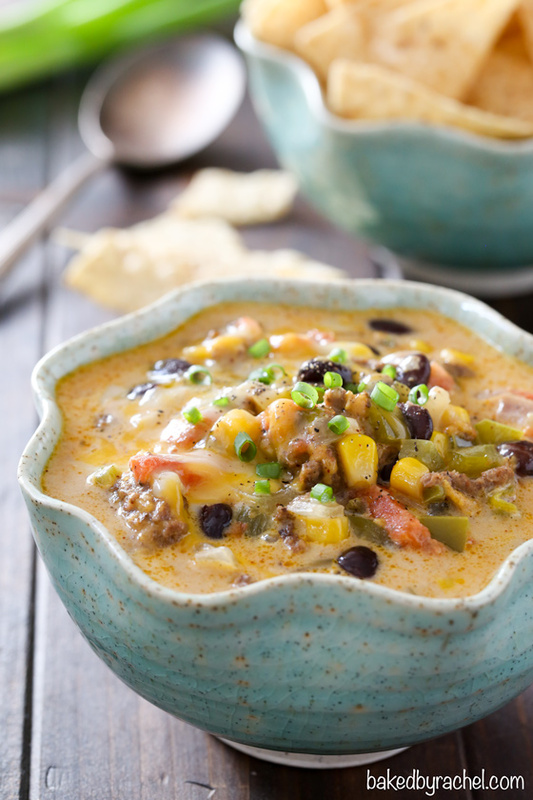 Easy cheesy slow cooker nacho soup, packed full of beef and veggies. 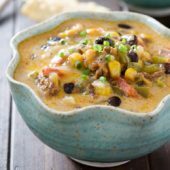 A perfect weeknight meal! *Ground chicken or turkey may be substituted for beef. *Gluten free option: 1 1/2 - 2Tb cornstarch may be substituted for flour.